Just received the 48 volt Go Kart . That is one cool go kart. Being electric took my son over to the park and everyone commented on how cool the Go Kart was. Thank you very much. The starter arrived yesterday. I was surprised it was that quick. Thanks for the great service! Just a quick note to say thanks. my order arrived this morning now i'll have my buggy back on the road by this afternoon :) awesome service, shall definitely be using you again! All the best Dan. Thank you thank you thank you, placed my order Monday afternoon received it Wednesday morning, buggy running again brilliant service. Hi. Just letting you know that my parts order [#11848] has arrived. Thank you for all you help, it arrived much sooner than I was expecting. Cheers. Thanks so very much Ian. Downloaded and printed. Thanks so much. As soon as we know what parts we need I'll be contacting you. Hi, I bought Storm buggy in November 2006. I Live close enough to check out the buggies on-site. The service, delivery etc was brilliant and Ian at Storm Buggies was really helpful. Any questions I had during the build were answered straight away and I was very impressed. If you're thinking of buying a buggy these are top quality and I recommend going here- you won't regret it. 1st rate....... Go here first. Joyner 650 Street Legal Buggy, who needs a dropped suspension, straight through exhaust, base beat hot hatch with tinted windows? Nobody cares, nobody looks, but drive down the road in one of these and heads turn at break neck speed. 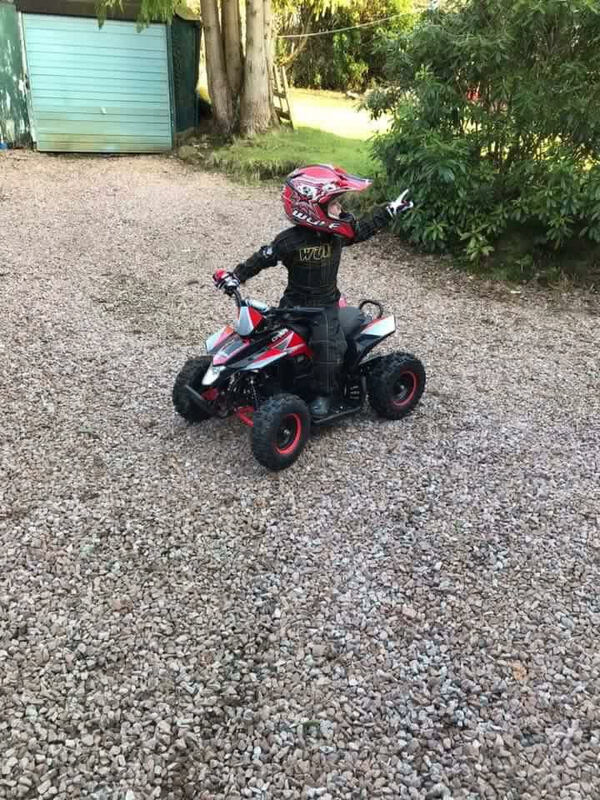 The sheer grin factor of bouncing down the road with a fixed dif can't be beaten. The look on other people's faces as they drive past you is priceless, ranging from curiosity to sheer jealousy! Pound for pound the Joyner can't be beaten for shear enjoyment level. Big fat tyres, go-kart suspension and steering make this the ideal toy for squirting round town. People will think you're mad, but try and get the grin off their face once they have had a shot. You know you want one. Having done much research on various buggies, the only one I was impressed with was Storm Buggies range. Delivery from a new reseller back in July 2007 was worth the wait for my Joyner 650, I have been very happy with the overall investment and have been very pleased with the support from Ian at Storm. I have already purchased direct from him the performance upgrade kit and various optional extras to suit my requirements, all of which have turned my buggy into a head turning boys toy suitable for either road or off road track use. This has now been put through its paces and is guaranteed to put a smile on your face every time you use it. Can't wait to get greenlaning in it for some longer distances next summer, the beast just excels itself off road with fantastic torque, and at least being road legal I can also get to use it all year round. You get what you pay for so consider this before buying a cheap import that would'nt stand up to the hammering. I have tried everything and just cannot get it stuck off road, much to the disgust of the local 4x4 boys! Since I purchased my Joyner 650cc road legal buggy, wow what fun, an exhilarating experience not to be missed. The attraction he gets is unbelievable. You wouldn't get the same if it were a Ferrari or some other exotic machine! On our first outing within 15 minutes we were off road and covered in mud and water, no problem for 'Billy the bug'. Since then various off road stints, ably coped with even at high speed, also across the sand and shingle at Southend, this did get a bit scary at one point when he started to dig in. If he can cope with those conditions I'm confident he'll cope with most situations. Ian Batten of Storm buggies has always been extremely helpful and knowledgeable and speedily responds to any communication, a pleasure to do business with. Thank you Ian. PS I am now saving for the turbo performance kit!!! 90% of my contracts come from clients who have seen my work on Dribbble.What can I say - Storm buggies have done everything they said and more. At no time have I had any problems in dealing with Storm buggies and everything has exceeded my expectations. 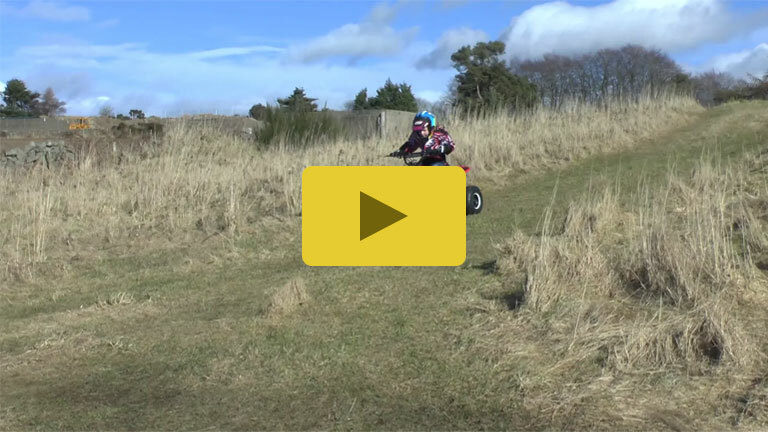 The end result is that I have a road legal Joyner 650cc buggy, and what fun it is!! 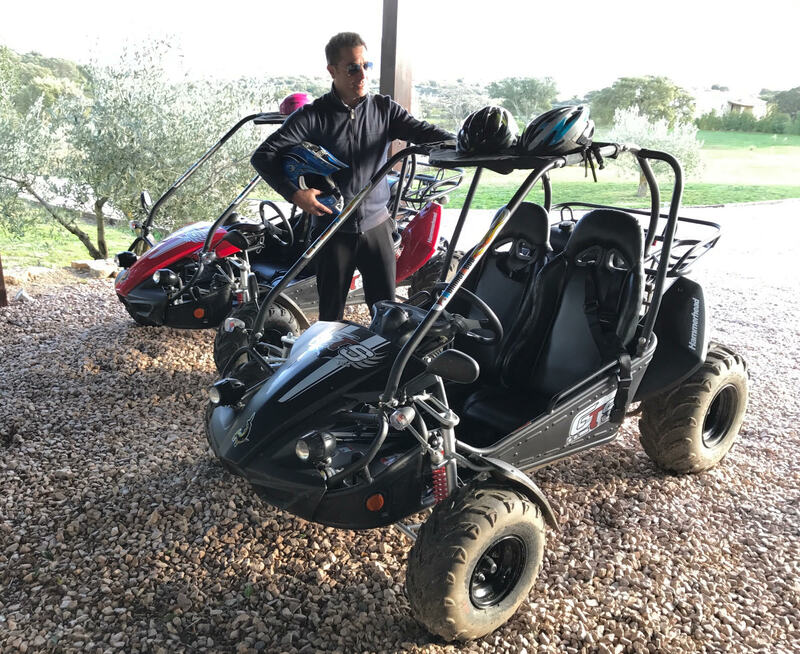 Out there on the web there are many companies offering various buggies for sale - However my advice would be if you are considering buying one, look at the back up being provided by the supplier and do some research. I am pleased to say the time I spent researching various companies was not in vain - Storm buggies have been excellent and also stock a wide range of spares and parts. 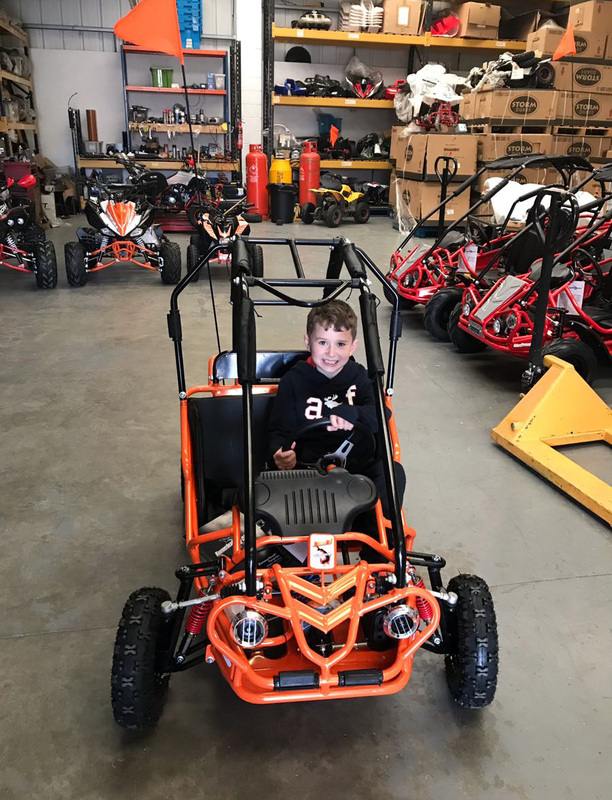 Ian has dealt with all my after sales queries in a professional manner and I would have no hesitation in recommending Storm buggies to anyone considering buying a Joyner Buggy. On behalf of Make-A-Wish Foundation UK I would like to thank you for the kindness and generosity you have shown to our child Jim Wall. Jim is an amazing young man who has to deal with his life threatening illness every day and has faced more in his short life than most of us have to face in a whole lifetime. The generosity you have shown means our funds can go further in granting more wishes for other children like Jim. As you may know one of the goals of Make-A-Wish is to bring hope, strength and joy to children living with life threatening illnesses. A wish is not a cure but it is a wonderful diversion from the grown up battle that these children are fighting. Once again on behalf of Make-a-Wish, our very special children and their families we thank you for your generosity and compassion. With very best wishes. The part arrived and it's a perfect match. Thanks so much. Many thanks for all your help with the buggy. It has already been a great success! Only ran out of petrol once...! Typically at the other end of the field. A lot of fun and we will all have a lot of fun with this. Thinking about the GTS now so we can all join the fun! Thanks again for yours and Robs help. Bought various buggies from Storm Buggies, both Hammerhead Buggies and Joyner buggies and had the best time ever! Service great and they are nice people to deal with. Whenever I have need parts they have had them in stock and delivery has been crazy fast! No toys for me right now as there is the amazing addition of a baby in my life but he will be jumping into a toy from Storm as soon as he can walk. Haha! We have been dealing with the guys at Storm Buggies since 2006 and over 10 years later we are still buying! We have purchased a number of machines and have always found the service from Storm to be fantastic. They are always very helpful and they carry a huge stock of spare parts and accessories.